Our students are heading up to Gull Lake Ministries in Hickory Corners, Michigan for a weekend of fun, worship, and time spent digging into God’s Word together this March! We’re going to take it back to the basics and study the Gospel, seeking to understand what it truly is and how our response to it affects every area of our lives. Activities will include bonfires, snow tubing (weather permitting), speed bowling, rock climbing, and much more! This will be a high-impact weekend that you don’t want to miss! Retreat cost is $115 due at registration. Students will also need to bring extra cash for dinner on the way up and lunch on the way back. 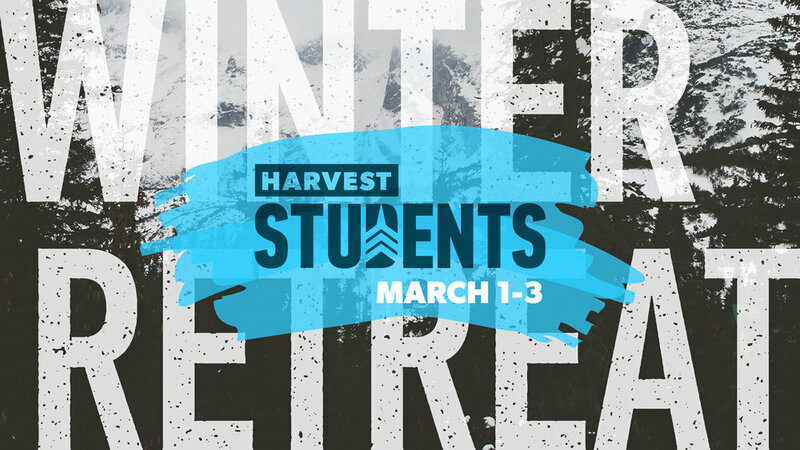 You may drop off your student at Harvest on Friday, March 1 by 4:30pm and pick them up on Sunday, March 3 at 3:00pm. We will send more information regarding transportation in the coming weeks. All students must have a 2018-2019 waiver on file. If you do not have one, click here to download. All medications must be given to our nurse, Kim Kandel, when you drop your student off. Please include written instructions. If you do not have a Realm log-in, please register using your student’s name at the link below. If you do have a Realm log-in, enter your own information to log into your account and continue to select the names of the children you are registering for the retreat. Registration for this retreat is closed.